GI practices and centers today face an industry with an aging provider pool and younger physicians that increasingly opt for salaried positions with hospital systems over private practice. For this reason, succession planning is an essential part of long-term strategic planning. As a physician slows down and moves into retirement, it will undoubtedly have a negative impact on volume and revenue for both the practice and center if succession planning is not successfully undertaken. GI practices and centers can counter this by absorbing the volume of the retiring physician into the remaining physicians' practice or by recruiting additional providers. If the practice and center are to minimize the impact or potentially grow volume with a new generation of physicians, physician partners must get ahead of the curve through proactive planning for this transition. Who will take over the retiring physicians' patients? Does the practice need to hire a new physician and if so, whom? If an additional physician is necessary, what attributes are wanted or needed in a physician? 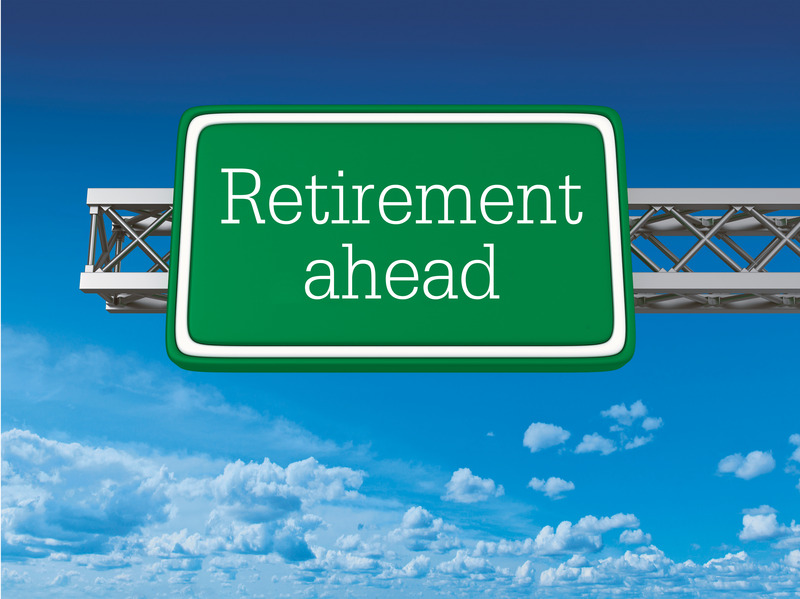 Can the retiring physician work part-time to ease into retirement? Can a physician stop performing center procedures and focus on the office? How will the reduction of physician providers impact the group's coverage responsibilities at the practice, center, hospital and outreach clinics? How will the center maintain or replace the volume of a retiring physician? What notification clauses do practice or center agreements have in place to prevent unexpected departures with little to no notice? What are the expected staffing levels needed to support operations after a physician retirement? 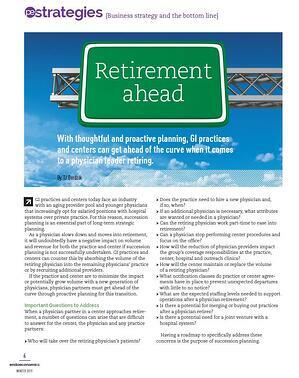 Is there a potential for merging or buying out practices after a physician retires? Is there a potential need for a joint venture with a hospital system? Having a road map to specifically address these concerns is the purpose of succession planning. Succession planning is best handled with early, open and honest discussions between physician partners and even junior physicians. Advance planning allows a practice and center to identify the best candidates that it wants and needs, as well as attract the candidates that will help maintain stability of the business and fit within the culture of the practice and center. Ideally, physician partner succession planning should be a roughly two-year plan (see "Timeline to Succession"). Physician recruitment can be a challenging, lengthy and potentially costly endeavor. Establishing an organized and ideally multi-option strategy for seeking viable candidates can increase the effectiveness of physician recruitment. Strategies should utilize the resources and network of a competent ambulatory surgery center (ASC) management partner, industry trade publications, physician word of mouth, relationships with medical educational institutions, competent medical staffing and recruitment firms, and hospital partners. Once a successor is identified and recruited, the practice and center will require time to train the new physician. Younger physicians and hospitalists may need assistance and mentoring to adapt to the leaner, more efficient operations of ASCs.